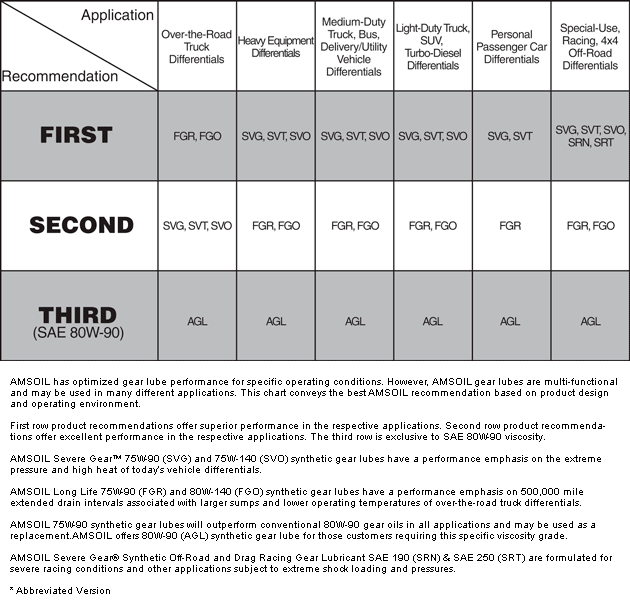 Click here to view the MSDS Data Sheet for AMSOIL OEF. Votes & Reviews: 80 vote(s) and 148 user reviews. Used this oil for several years now in both my work truck and personal vehicle. I run Amsoil in my truck and in a buddies truck. On both vehicles we have seen improved fuel economy and better cold starts. The truck has no issues starting in -30°f and below even when left unplugged over night. I have seen increases all over the board. Use Amsoil in all my cars and motorcycles because I insist on only the best !!! I use this oil in all my cars, it's cheaper than in stores with preferred customer membership, quality product and protects my vehicles for years now. I purchased this for my dad to use in his 2007 Chevy cobalt. Provided an upgrade from conventional oils. The oil life monitoring system was at 27% remaining oil life when we changed it at 4,000 miles. We have started using Amsoil XL to provide better fuel economy. Years ago I use to race & rebuild our engines. Rod bearings and piston rings would wear and need to be replaced quite often. 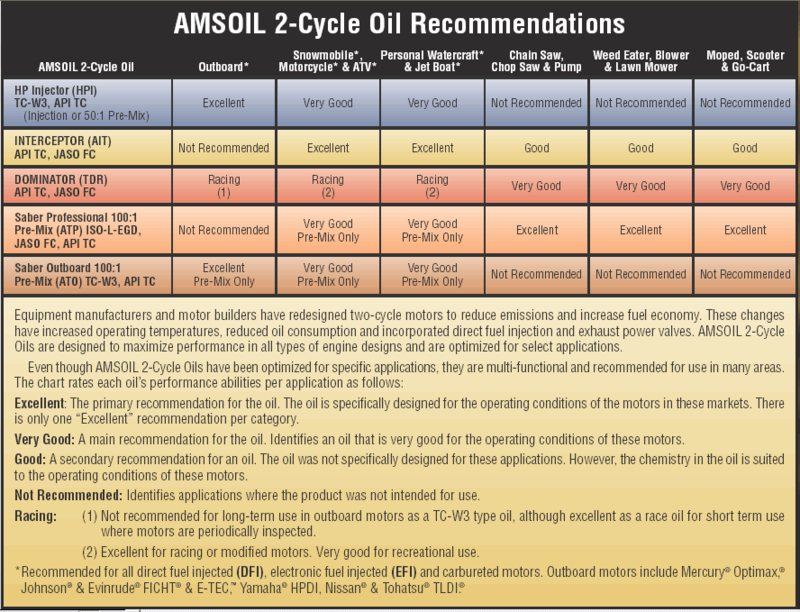 Once I converted to 100% synthetic Amsoil oil I could run a full season on the same bearings and piston rings, savings in $$ and time replacing rings and bearings. Virtually NO wear on moving parts. This proved to me how valuable the oil is and I now run 100% synthetic Amsoil in all my internal combustion engines. I don't quite drive enough to utilize the full drain interval of this product. I do run the product for the calendar year. The oil remand stable and clean from visual inspection. I have total confidence in this product. Great value, even greater QUALITY! I purchase this for all of my customers who are skeptical of AMSOIL. I tell them to compare to MOBIL1 when they do their 3k or 5k mile oil change. The color is always lighter than MOBIL1 in all the cars I have tested! Use this across in my 2 Toyota's and Lexus vehicles due to the extended warranty requires 3k oil change be done regularly. My son ran the '99 Camry with 230k miles down to 1.5 quarts once and I just topped off and no harm seems to be done to the engine after another 2k on the motor. I appreciate your product. It works well with my Nissan frontier and pathfinder and could feel the difference. Great oil! 210,000 miles and still going strong. Use these products in all my vehicles from my sports car to my fault driver and my toys. Never an issues and great prices, except filters but I work in a shop and we get great deals from our local parts stores so it's hard to compair. This less expensive Amsoil Is my choice for a quality shorter term service interval for some of my vehicles . I put this oil in my 2016 Ram 2500 6.7 Cummins on its 3rd oil change. I noticed a slight mpg increase. The engine actually sounds a bit quieter as well. Best product out there for 10x the price! I have a small home garage where I help my friends and family members on part time basis. I use most of the AMSOIL products and have seen good results. Us AMSOIL in all our vehcles, we live in the hot desert and can really tell a difference. Will never use anything else! Use in all my vehicles as well as my motor trike, all the amsoil products. I have been using this oil in all my cars for many years.. I've been a loyal AMSOIL Client & desler for years!! All my. Vehicles get converted to synthetic.. first the engine, then the drivetrain.. trany always a challenge.. but well worth it.. one of my trucks had 215k on it.. accident took it out but kept the engine & drivetrain.. thanks AMSOIL!! OE is the best choice for me. I had always purchased the top-line signature-series for my cars and trucks in order to take advantage of their long drain intervals. Recently I bought a new midsize truck with a V6 engine. The dealer offers a free one-million-mile powertrain warranty to the first owner. 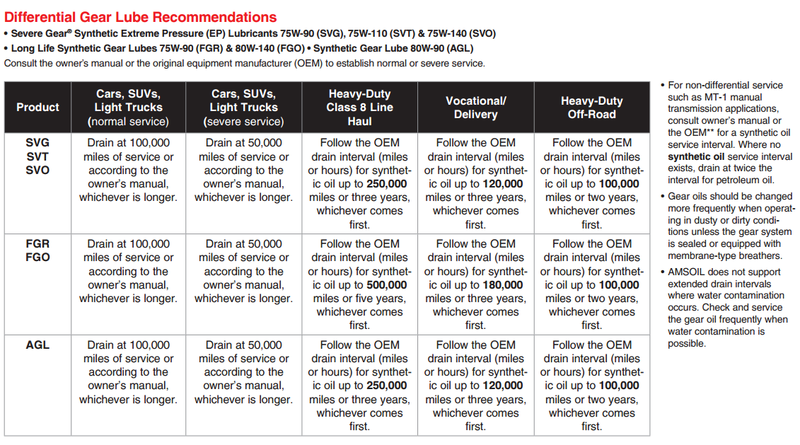 Owner must follow the factory-recommended service intervals; oil drain and filter come every 5,000 miles. I went with OE because it has to be drained so often, but would it provide about the same protection and mileage as the SS? Before OE the mileage average was 23.4 mpg. After 5,000 miles on OE the mileage average is 24.3, an increase of about 9%. The engine is very quiet at idle and runs very strong. No oil seeping anywhere. Love the Price Point GREAT value! I use this oil in my 2006 Acura MDX. My gas mileage has increased and my SUV runs really smooth. I used the Engine Flush before installing. I feel confident that using a premium product at a great price point from a company like Amsoil will keep my MDX running for a very long time. Using it in an engine that burns oil. It is more affordable that the signature oil but still quiets down valvetrain and runs smooth. I have been using this in F-150's for over 4 years and have been nothing short of impressed by this oil. I have also put this oil in a lot of other vehicles and never any complaints. Have been using this product in our 2007 Tahoe with a 5.3, and my 2012 Chev. 2500 with a 6.0 liter gas engine. Very particular about everything, Watch for new leaks, old seeps, consumption, color, smell, everything. Tahoe has 80,000 miles, PU has 60,000 miles. Tahoe has had a slight seepage around rear main area and also had started using a quart of oil in 3,800 miles after every oil change at about 30,000 miles. Since switching to AMSOIL, seepage has just about completely stopped, and consumption has slowed to approx. 1/2 quart at 3,800 miles after about a year and a half of usage and 3 oil changes at 4,000 miles. Hoping for continued improvement with time and miles. PU has never used a drop or leaked a drop between changes. Have always used Valvoline products prior to trying AMSOIL. Still watching results and hoping for the best. Also put 50 wt. SYN. AMSOIL in my '80 diesel truck transmission and saw easier, faster shifting, and less noise. No leaks. Using this oil in all my autos with 15,000 mile filter. Saving me lots of money. 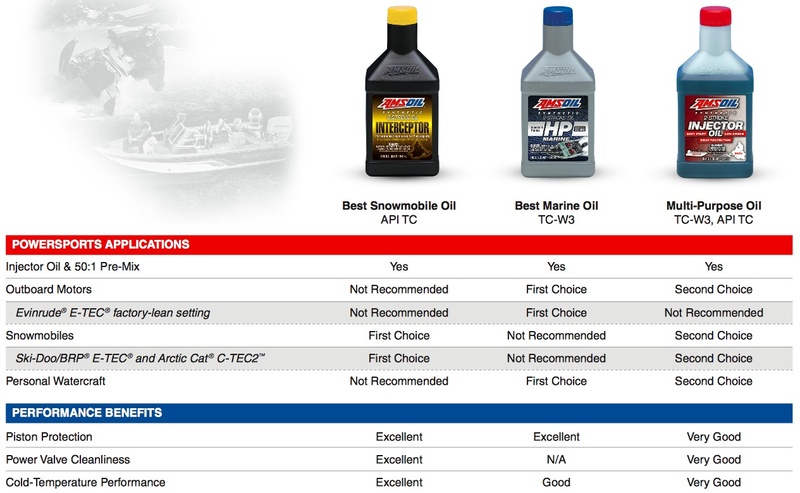 What is not good about amsoil product? I use amsiol in everything I own. I use this product in my 05 Toyota Sequoia. Started using Amsoil at 125k miles and haven't looked back. (178k) I am very pleased each time I change my oil to see how clean and gold the oil is. Before Amsoil, the oil would be black with deposits. I know my engines' life is extended due to this product. I will always use Amdoil Products! I love the OE Amsoil products. I use the OE 5W-30 in both of my GM vehicles, a 2001 Silverado with 256k miles and a 2011 Cadillac with 96k miles. I love the feeling of protecting my engine with quality oil. Firts excuse my English i'm french Canadian,I appreciate your products for my bike and truck. Hope to do business again . I've used XL oil for years because of the miles I put on my truck, even the shop is amazed at the engines condition after 150K, so I started with OE on my wife's suv with 120K miles & it seems to run smoother then ever.